Today in Masonic History Francis Stillman Barnard passes away in 1936. Francis Stillman Barnard was a Canadian politician. Barnard was born in Toronto, Canada. In 1860 he moved with his mother to Victoria, B.C. so they could join his father who had moved there the year before. From 1866 to 1870 he attended Collegiate School in Victoria. He would then go to Hellmuth College in London, Ontario to further his education. In 1873, Barnard returned to British Columbia to assist his father in the running of the family business the B.C. Express Company, also known as the Barnard's Express Company. In 1880 he was appointed manager of the company when his father's health turned for the worse. He would continue in the position until 1888. In 1886, Barnard was elected to the Victoria City Council. he would serve until 1887. In 1888, after resigning as the manager of the B.C. Express Company, Barnard ran successfully for a seat in the House of Commons from Cariboo. He would serve in Parliament until 1896. Barnard was the President of Victoria Transfer Company and the Vancouver Transfer Company. He was director and secretary of the Vancouver Improvement Company as well as being director of the Hastings Sawmill Company, the British Columbia Milling and Mining Company and the Selkirk Mining and Smelting Company. 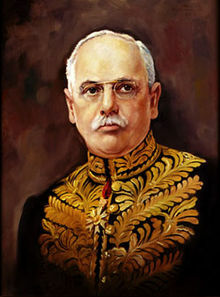 In 1914 he was elected Lieutenant Governor of British Columbia. He would serve as Lieutenant Governor until 1919. At that time he would be knighted. Barnard passed away on April 11, 1936. Barnard was a member of Victoria Columbia Lodge No. 1. He was raised on April 17th, 1887.